The 2015 edition of thw guidebook to a fantastic old destination – situated between Lake Garda and the Sarca Valley in the stunning Italian Lakes, Arco offers some of Europe's best sport climbing on the edge of the Dolomites. 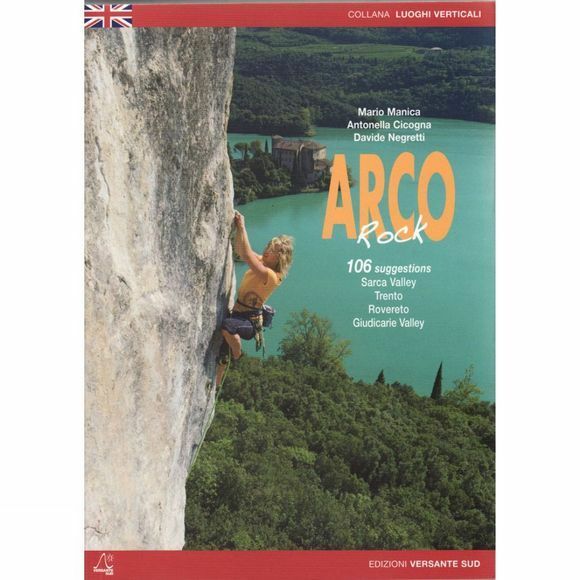 This edition has extra contents: in-depth interviews with some of the most significant personalities in Arco's vertical history, both past and present; QR codes with GPS coordinates, which can be used with any smartphone and easily lead you to the car parks below all the crags; videos made especially to visit some of the Valley's most beautiful rock faces. English language throughout. Included are 113 crags in Arco, Sarca Valley, Valle dei Laghi, Trento, Rovereto, Giudicarie Valleys and Val di Non.